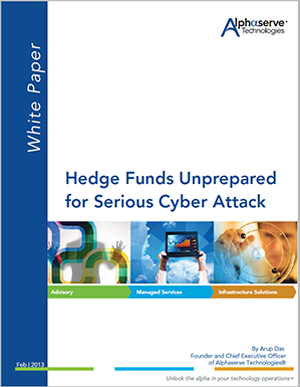 "Alphaserve Technologies, the IT advisor to many of the world’s largest hedge funds, today offered potential solutions to an industry which it perceives as at risk for such an attack..."
Get Your Own Copy of the Whitepaper Now! Copyright © 2016 Alphaserve Technologies. All rights reserved.